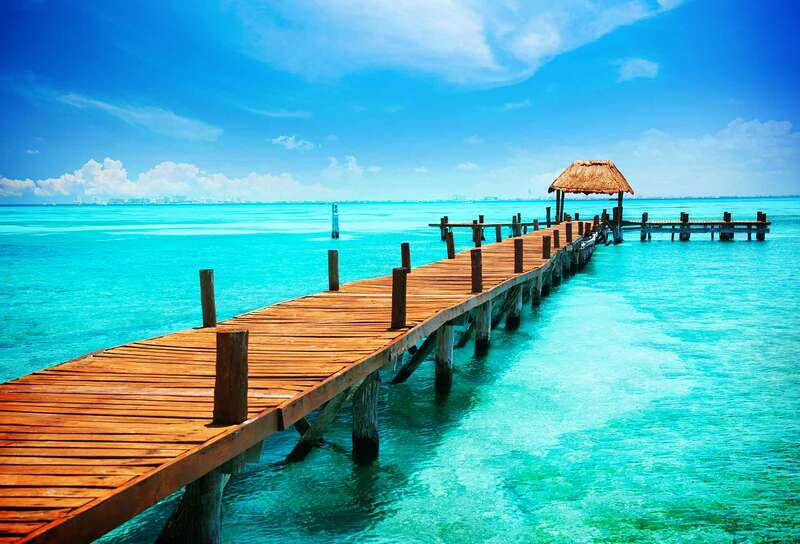 Isla Mujeres is a beautiful little island located a short ferry ride from Cancun. This hilly island is seven kilometers [five miles] long and less than one kilometer wide; with lagoons, rocky coastline and wide sandy beaches. It is surrounded by the many stunning hues of blue of the gorgeous Caribbean Sea. As it is the easternmost point of the country of Mexico, there is a military base on the island. The small town site is located at the northwest end of the island. Some Mayan ruins are still visible on the southeastern tip. The island has a charm all its own and makes for a great day trip for visitors staying in the Cancun area. The snorkelling and SCUBA diving are absolutely incredible. There is a good variety of shops and restaurants, as well as breathtakingly beautiful beaches to enjoy. On Isla, the pace is relaxed and unhurried. After sunset, most tour groups leave and the local population quietly settles down for the night. Although most visitors just stay for the day, there are plenty of accommodation options on the island. Your choices range from stylish simplicity to plush comfort. Most of the boutique hotels and some bed-and-breakfasts have ocean views, since the main town site is not large. Lots of these are within easy walking distance from the ferry dock. There are also vacation rental homes and condos south of town (like the Shell House), if you want more space and peace and quiet. You’ll need to rent a golf cart or take a taxi there. Currently there are several 3 and 4-star hotels and all-inclusive resorts on Isla Mujeres as well, with soft beds, infinity pools, excellent restaurants and stunning views and all the comforts of home. TIP: Generally, summer is the low season on the island and hotel rates are reduced competitively. In the winter months (high season), prices go up and availability goes down. If you’re planning a winter vacation, book several months in advance for the best options. Between Labor Day and Christmas is a good time to visit. 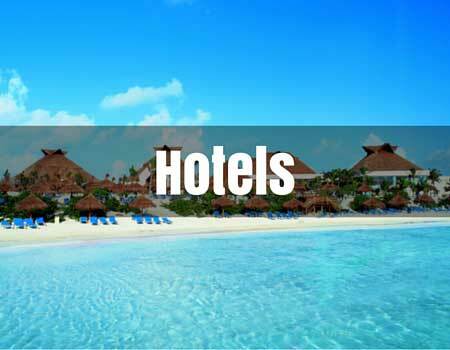 Crowds and room rates are down but the temperatures are still high. (Keep in mind that hurricane season is from June 1 – November 30.) The busiest and most expensive time of year is around Easter/Spring Break. 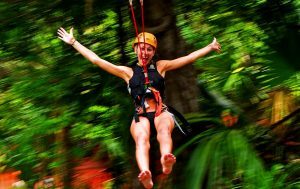 Other than lounging on the beach and getting the tan of your life, there are lots of activities on the island. The best thing to do when you arrive is to rent a golf cart or scooter and drive around. The views from the road are fantastic, and you can get a feel for what’s available for you and your family to explore later. There is a newly-opened Dolphin Discovery park where you can interact and swim with dolphins. On the island there’s also a turtle sanctuary and a natural coral reef park with water activities. The Underwater Museum has scores of submerged sculptures and statues for SCUBA divers to check out, and the snorkeling is of course excellent. Isla Mujeres happens to be near the migration path of whale sharks, gentle giants who are in the area from May – September. Swimming and snorkeling with the whale sharks is an unbelievable experience. If you’d like to actually get out on the water, there are catamaran and yacht tours, as well as fishing expeditions available. This makes for a very fun-filled day! Isla is accessible by ferry from Puerto Juarez, Cancun. Ferries depart this port for Isla about every half-hour, starting each day around 5am and running until about 11:30pm. (During high season more ferry departures are scheduled to handle the influx of tourists coming and going.) 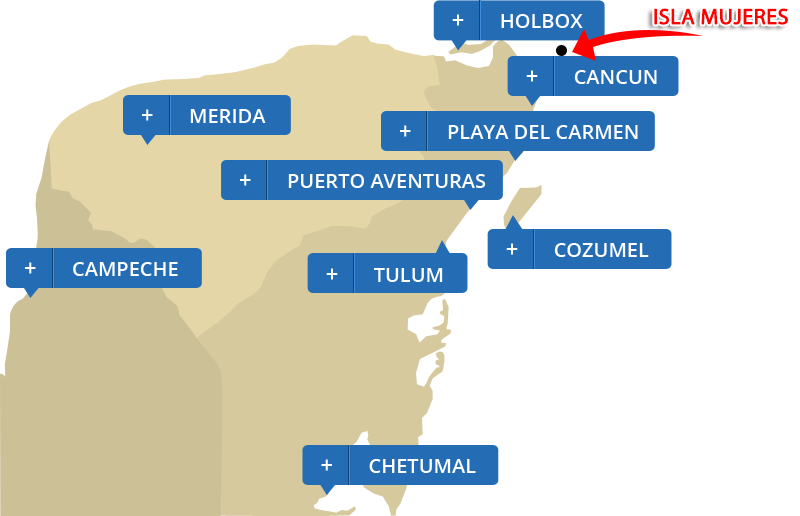 Ferries also depart from three different locations in Cancun’s Hotel Zone, for a higher fee. The schedule typically runs between 9am and 9pm. There is also a car ferry which is located at Punta Sam in Cancun (about 10 minutes’ north from Puerto Juarez). TIP: The ferry ride is about 20 minutes long between Cancun and Isla Mujeres. Watch for turtles and dolphins swimming alongside the boat! During most of the year, the water is quite calm, but due to the speed of the boat, you may get nauseous if you’re prone to seasickness. 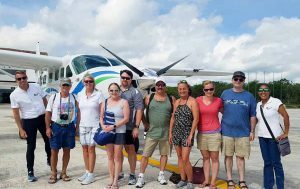 We offer competitive private transfers between the Cancun Airport and the ferry dock to Isla Mujeres for $39 each way for up to 8 passengers. Discounts are available for round trip transfers and if you reserve your hotel with us. 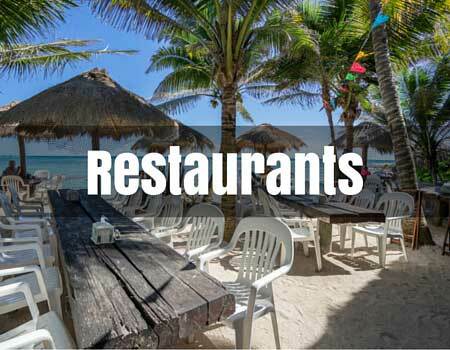 There is no shortage of restaurants in Isla Mujeres. If you are a seafood lover, you will be in heaven. Fresh catches of the day abound and prices are far cheaper than on the mainland. Even a steak dinner is considerably cheaper than what you would find in Cancun or Playa del Carmen. You should have no problem feeding fussy children either, as french fries, hamburgers, hot dogs, and pizza are all easily obtainable. Most of the restaurants are located on the pedestrian walkway downtown that runs parallel with the western coast (facing Cancun). You can stroll this from end to end in under 15 minutes and scope out almost every restaurant in town before making a decision where to eat. Most joints here tend to fill up in the evening, as the sunset over the water is spectacular to see! Small, informal Mexican restaurants can be found on many of the side streets. There are also juice bars, coffee shops and sports bars. 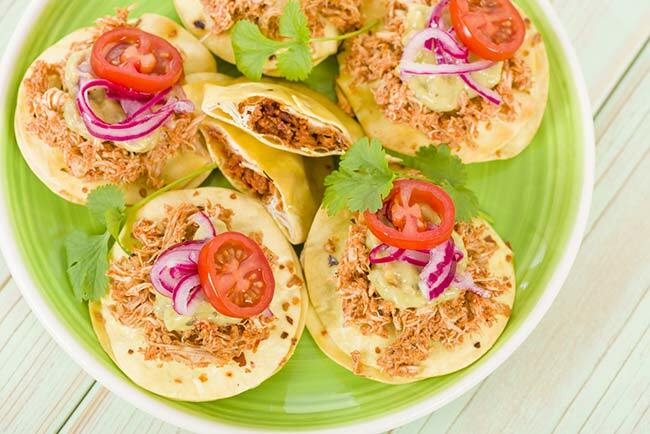 If you prefer to cook, there is a Chedraui supermarket at the east end of town and variety of mini grocery stores sprinkled all over. Isla has both rocky coastline and soft, sandy beach. By far the best beach is on the north side of the island, where the coast is protected from currents and winds. A wide shelf extends into the water hundreds of yards, so you can wade out for quite a distance and children can splash around safely in the shallows. The water is aqua blue and crystal clear, almost too beautiful to be real! The north beach is public and easily accessible. There are several hotels and restaurants here, with their own beach areas, but there is usually plenty of space for everyone. Along the protected western side of the island you’ll find scattered pockets of sandy beach, dotted with restaurants and vacation homes. 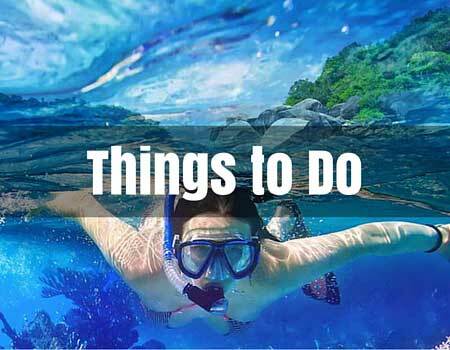 Several restaurants offer snorkelling or other activities like swimming with nurse sharks. Waves crash the rocky beaches on the eastern side of the island, making for gorgeous photographs. The lighthouse on the southeastern tip is atop a cliff and visitors can explore the trail that winds down along the coast here. The beachcombing on the eastern and southern shores is great; you can find lots of conch shells and bits of coral that have washed up. Sun-drenched, quaint and just the right size, Isla is the perfect day trip. If you’re staying in Playa del Carmen, you have more than enough time to visit the island, have a great time all day long and return by nightfall. 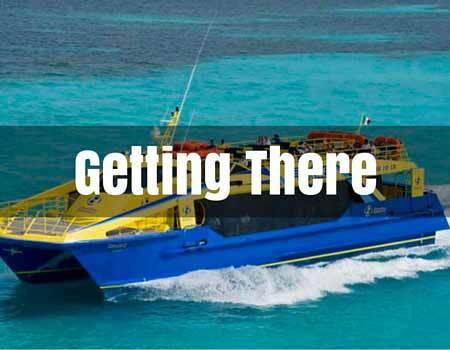 If you’re staying in Cancun, the ferry is a short taxi drive away. Since the town itself is not large, you can leisurely walk the breadth of it in a couple hours. 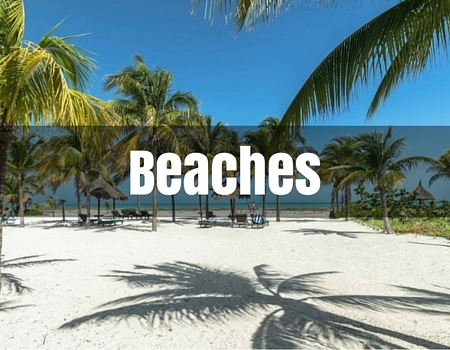 Like the island of Holbox, the locals get around on golf-carts, scooters, and small bore motorcycles. You’ll see only a few cars and trucks. When you get off the ferry, you are right downtown, on Avenue Rueda Medina. Down the road heading south (right) is the military zone [you must stay on the road or sidewalk]. To the north (left), are restaurants, shops and the best beaches [this is the tourist zone]. The most popular streets [calles] run east-west, parallel with the shoreline. However, the intersecting streets also contain shops and restaurants. The main “tourist” street [Miguel Hidalgo Ave.] is a cobblestone pedestrian walkway filled with interesting boutique hotels and restaurants. It’s reminiscent of a charming, small-scale version of Playa del Carmen’s 5th Avenue. Winter Months: Cold fronts may create windy, cloudy and cooler weather. Afternoon thunderstorms are common, usually lasting for an hour. Water temperatures range from 77°-82° F [25° -28° C] throughout the year. 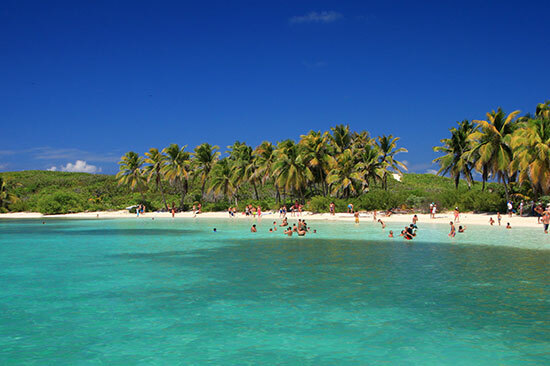 Isla Mujeres has a richly layered history dating back more than a thousand years. At one time, it was a favorite haunt of pirates and marauding buccaneers. Before that, it was inhabited by the Maya, who considered the island a sanctuary for the moon goddess Ixchel. Salt was also harvested from the briny lagoons on the island and traded among the Maya. According to some accounts, in 1517 the Spanish explorer Francisco Hernandez de Cordoba sailed from Cuba to the Yucatan Peninsula in search of slaves for the Cuban mines. Upon coming across the island, legend has it that the crew found only a priestess and a few other women inhabiting the island, with numerous statues of the goddess Ixchel scattered about. Thus the island was named “Isle of Women”. Over the last two centuries, Isla Mujeres was gradually populated by fishermen and Maya refugees from the Caste War. It started to become a tourist mecca in the 1950s, with steady progress made in the 1970s as the mainland city of Cancun developed. The Mexican Naval Base on the island dates from the end of World War II. 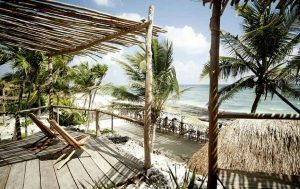 Isla Mujeres has retained its charm and continues to be a haven for sun seekers looking for tranquility. The population still includes a lot of indigenous Maya people and the local economy revolves around tourism and fishing. Check this box to confirm you are human. 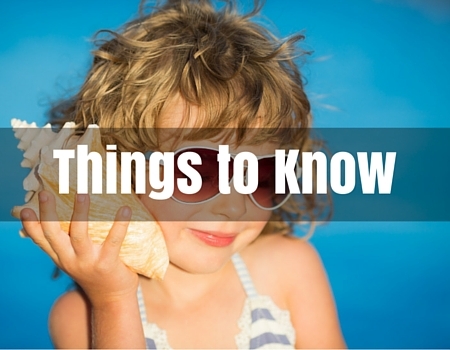 Be the first to know about Travel Deals, Helpful Articles, Newsletters. Isla is fantastic! My family goes at least once a year. It's just such a cute little island and the coastline is gorgeous. There are amazing picture worthy spots all over so be sure to stop lots on your drive around the island. You have to see the color of the water to believe it! The snorkelling is excellent...we even saw dolphins in the wild from our catamaran! I'm hoping one day soon to go diving as well.